You've taken pleasure in creating the fun and easy-to-make Bullet-Style and Bolt-Action pens. Now you can enjoy the same style in this Chrome plated Razor kit! This large, substantial Magnum-Style Razor kit replicates the magnum cartridge found in centre-fire rifles. It is the perfect gift for any sportsman or hunter looking for a close, comfortable and truly unique way to shave. The kit accepts the Gillette® Mach3® razor - one of the world's most popular razor blades. 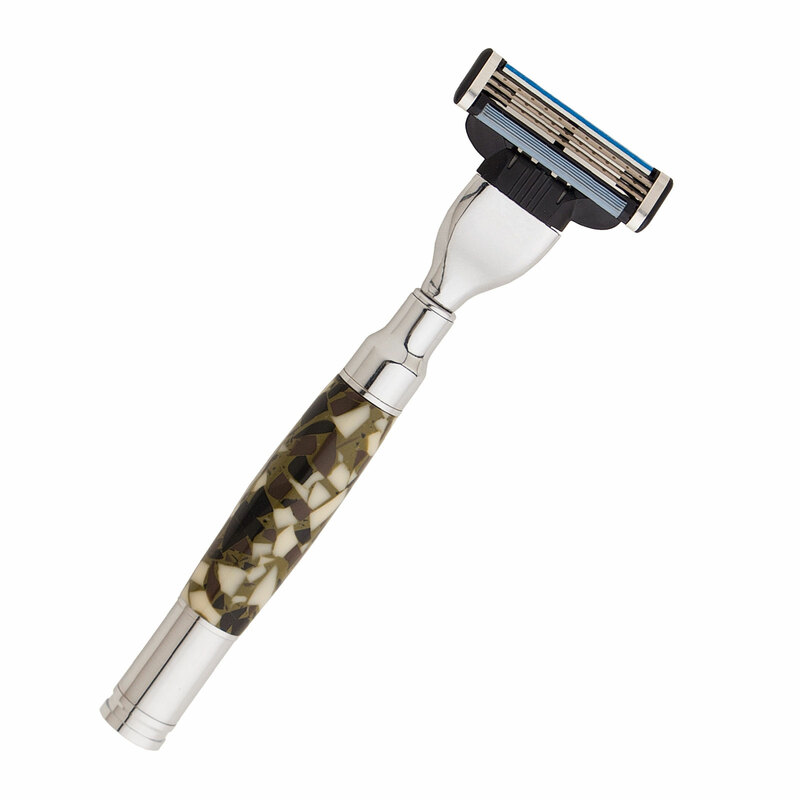 Make this razor using military camouflage pen blanks for added appeal. This razor is easy to make because of its basic straight cuts on the lathe. These premium high quality kits are manufactured using the finest quality materials and are individually quality checked during the manufacturing process. Type: Magnum Mach3 Razor Kit using Gillette® Mach3® blades. This product was added to our catalog on Monday 21 November 2016.